Though consumers are told time and again to eat whole grains, it turns out that isn’t a simple decision. A new health breakthrough shows that standards for classifying foods as “whole grain” are inconsistent and even misleading. One prominent example was the widely-used “Whole Grain Stamp,” which actually identified grain products that were higher in both sugar and calories than products without the stamp. Not good! This study, out of Harvard University, is the first to evaluate how healthy whole grains are based on definitions used by the government and food companies. 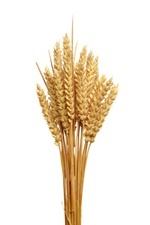 Experts say we should get at least three servings of whole grains a day. Doing so helps lower your risk of heart disease, obesity, and type 2 diabetes. But there is no one standard to separate what is refined and what is whole in the grain world. Researchers compiled 545 grain products in two major U.S. grocers. They comprised bread, bagels, English muffins, cereal, crackers, cereal bars, granola bars, and chips. The products featuring the Whole Grain Stamp (a very commonly used symbol) were higher in fiber and lower in trans fats. But, they had far more sugar and calories than products without the stamp. Cereal, crackers, and cereal bars had mixed performances, none of them perfect. Researchers found the 10:1 ratio, courtesy of the American Heart Association, to be the best indicator of a grain’s healthfulness. These products were higher in fiber and lower in trans fats, sugar, and sodium, while their calories were not higher than products that didn’t meet the ratio. For the everyday grocery shopper, this might require a bit of math (which every cell phone can aptly do anyway). If there is less than 10-times the amount of carbohydrates than fiber in a grain product, it is healthy and most likely contains whole grains. For instance, if there were 50 carbs in a serving, there would have to be more than five grams of fiber. Mozaffarian, R., et al., “Identifying whole grain foods: a comparison of different approaches for selecting more healthful whole grain products,” Public Health Nutrition, published online January 4, 2013.